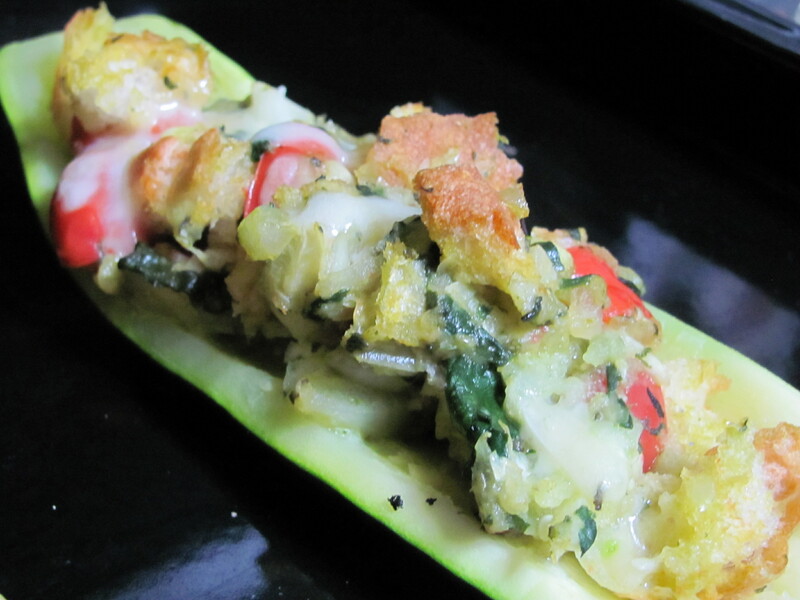 Stuffed Zucchini – I'll Make It Myself! I regrettably left a baguette out in my kitchen in March, but because it was still snowing in Hokuriku, the bread went stale and didn’t mold. I never have stale artisan bread on hand because I freeze my good bread if I can’t eat it fast enough. This recipe is thanks to the convergence of my bread failure with my finding the first zucchini of the season at a co-op in the middle of the prefecture. This stuffed zucchini dish, which I adapted from Cooking Light‘s “Eight-Ball Zucchini Parmesan,” is an impressive-looking but simple side dish that brought a bit of home to a dinner. I recommend serving it with salmon and spinach. Preheat oven or oven range to 180°C (350°F). Wash the zucchini and cut in half lengthwise. Carefully scoop out the flesh with a small spoon, leaving ½ cm (1/4 in.) of the shell. Steam zucchini shells for 5 minutes in steamer basket or until tender. Carefully remove with tongs and set onto paper towels to drain. Place zucchini flesh with spinach, garlic, and onion in blender and process until finely chopped. Heat olive oil in a large frying pan over a low to medium flame. Add the zucchini mixture and cook for about 5 minutes. Add the tomato and salt and cook another 5 minutes, stirring occasionally. Remove from heat and stir in breadcrumbs and basil. Spoon zucchini mixture back into zucchini (half in each piece). Top with cheese. 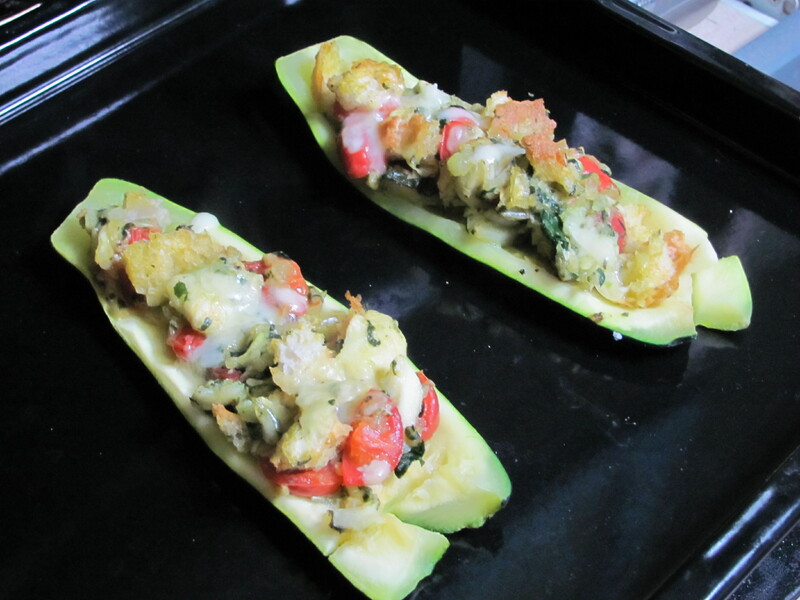 Place zucchini halves into oven and bake for 15-20 minutes or until the cheese melts.